It’s a new day. And another big name in the music industry, Madonna, is about to jump the record label ship. Pop superstar Madonna is close to leaving her long-time label Warner Bros. Records for a reported $120 million deal with concert promoter Live Nation, Inc., The Wall Street Journal reports. Madonna is to receive a mix of cash and stocks in exchange for three studio albums, the right to promote her concerts, to sell her merchandise, and to license her name. 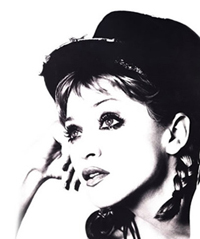 Madonna, however, still owes Warner Bros., whom she has recorded with from the start of her career in 1983, one studio album and a greatest hits package. Madonna’s pending move is another sign of how quickly the music industry is changing, although Madonna’s move is different from announcements made recently by Radiohead and Nine Inch Nails. Radiohead, which just this week released its latest album “In Rainbows” on its Website, is acting as its own label and has offered its music directly to fans, asking them to pay whatever they think it’s worth. Nine Inch Nails has not released details of its plans, but it’s expected that they will act as their own label and sell directly to fans. Madonna isn’t becoming her own record label, she’s bypassing the record companies and going directly to other players in the music industry. Traditionally, acts would release recordings through the labels and then make separate deals for touring and merchandising with other companies. As the WSJ notes, other players like Live Nation and ticketing companies are eager to participate in the revenue stream.